Jungle sop is a fruit from Central America. 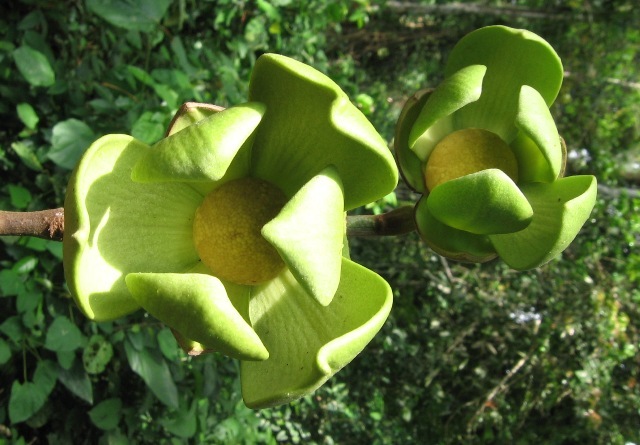 It grows wild in large numbers in Congo, Zambia, Central African Republic, Angola etc. Jungle sop has a very unique feature. It is the second largest fruit on earth next only to jackfruit. A single fruit can weigh upto 15 kg, though most fruits are from 4-6 kg. It is also a very tasty fruit full of flavour. It has also been introduced into southern Florida, Hawaii, Malaysia, and northern Queensland in Australia. A medium sized tree, 8-12 m high. Flowers large, 5-8 cm in diameter. Fruits very large, upto 50 cm long and weigh 4-6 kg each, rind brown, leathery and patterned with raised diamond shaped pieces; pulp yellow orange, sweet and highly flavoured. Jungle sop fruit is very popular in Central Africa and people pay upto two days’ wages for buying one fruit. Special expeditions are organized to forests by people during the season to collect this fruit. The fruit is picked from the tree when mature but hard. It is then stored at home and turns soft in 4-5 days. One fruit is enough to feed 5-6 hungry persons. In spite of all virtues of jungle sop, it has still not been domesticated and developed as a orchard fruit. Nearly all fruits come from wild growing plants only. 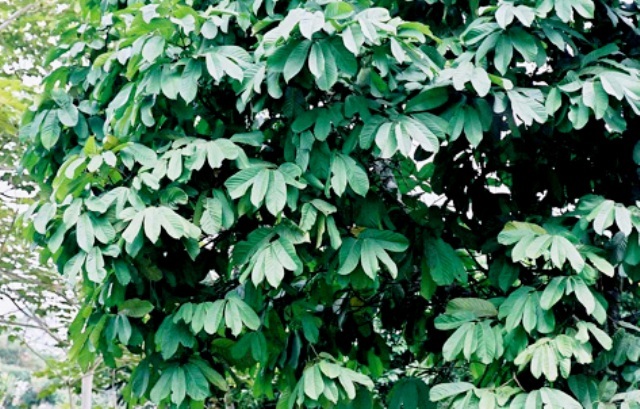 This is probably because of the reason that already a large population of jungle sop tree exists in the African rainforests and the requirement of the local people is easily met from these trees. 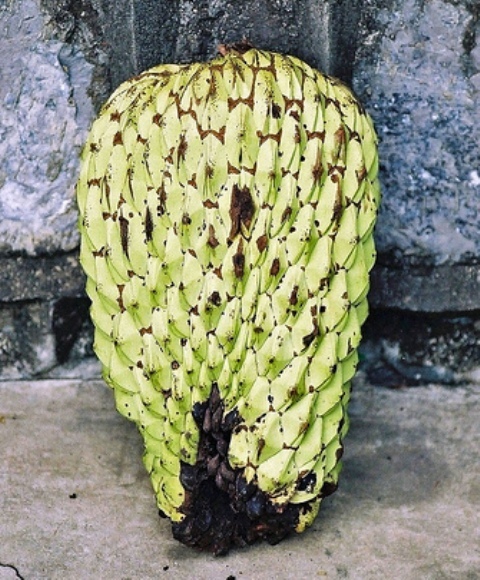 A few attempts were made for domestication of this fruit in Congo, but these could not lead to any significant success. Appearance of fungal diseases is also said to be a reason for this failure. Jungle sop trees when planted grow quite fast. These seem to prefer a rich, well aerated and moist soil. As it is an understory tree, so it can also grow in poor sunlight. The trees are mold cold tolerant than other annonas but are susceptible to damage to wind because of large sized leaves. The propagation is from seed. The seedlings may take around 10 years to come into bearing.